Breaking News: Earthquake: 1:09 a.m., November 18, 2011. Okanogan, WA! 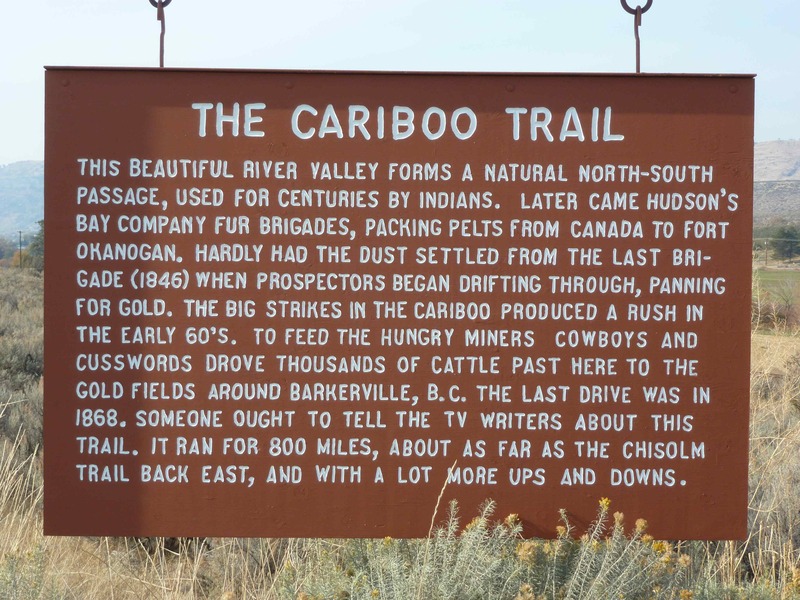 Perhaps for the first time since Mexican drivers drove cattle through in 1858 to feed the California miners who had trudged north to the Cariboo, Okanogan, Washington is in the news. All the time in between it has been living on as a film set waiting for a film. Where’s a Good Film Crew When You Need One? Roadside Sign at Okanogan, Washington. An early form of the film pitch. In between, in anticipation, people have managed to turn their local grain elevator into an Irish Pub. At 1:09 a.m., the big break came and the earth shook underneath Okanogan. 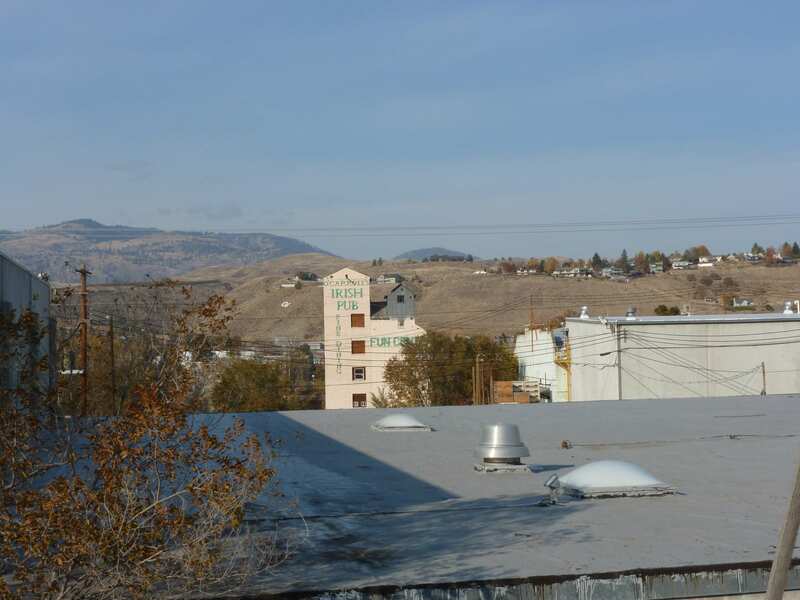 Here’s downtown, looking over one of Northern Washington’s kazillion abandoned fruit packinghouses. 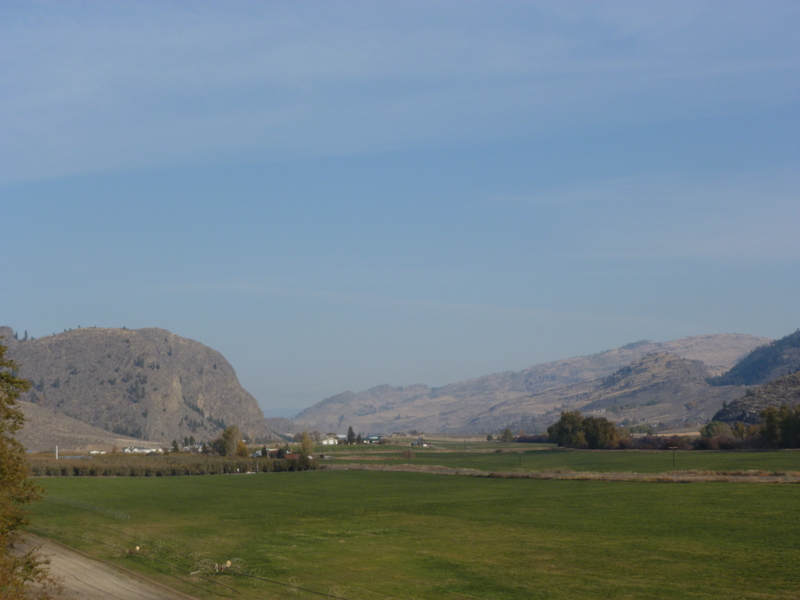 The epicentre of the quake is behind the brown hill in the mid-ground of the picture. Warning: CBC News has the epicentre a few miles north, near Riverside. Dang! They need a less picturesque map. All grown up and filled with post-glacial gravel and hayfields. No Irish Pub, though. I’d raise a glass to that.